Miners who were trapped underground at the Sibanye-Stillwater mine were transported to a holding area after being rescued in Welkom, South Africa, on Friday. 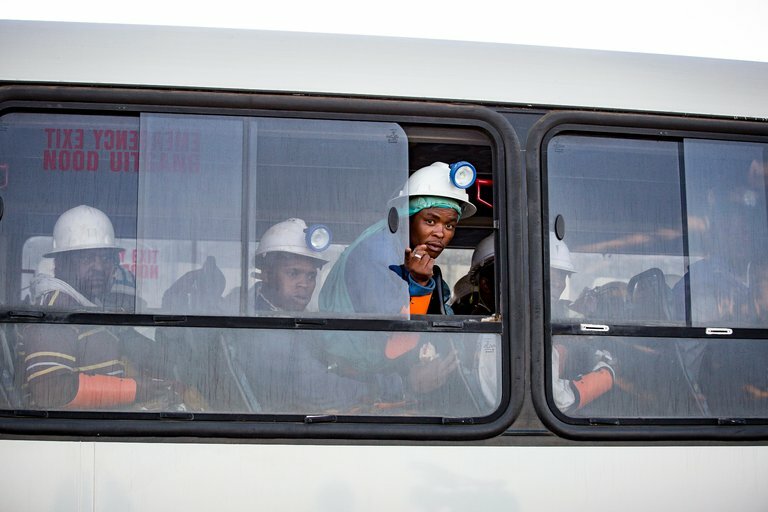 JOHANNESBURG — Nearly 1,000 miners who were trapped in a South African mine for more than 24 hours after a power outage have been safely evacuated, company officials said on Friday. The Sibanye-Stillwater company, which manages the Beatrix gold mine in Free State Province, said that the miners would be subjected to medical tests and counseling. The mine is expected to resume operations on Monday, the company said. “Everyone is fine. There were minor injuries and a bit of dehydration, but that’s all,” said James Wellsted, a company spokesman. He said that 955 workers had been rescued, Reuters reported. Unions for mine workers expressed concern that there was no functioning backup plan for evacuation after a storm knocked out power Wednesday night. They also said that the episode underscored long-running problems with safety and oversight at South Africa’s mines, where workers at some sites operate at depths of more than two miles below the surface. Food and water were delivered to the trapped miners while they waited for power to be restored so that elevators could ferry them to the surface.